Karachi, Pakistan, September 5, 2016: Procter & Gamble (P&G), one of the leading fast moving consumer goods (FMCG) companies in the world, is celebrating 25 years of its presence in Pakistan. Since its first shipment of Head & Shoulders shampoo in the country in 1991, P&G has won the trust and confidence of Pakistani consumers through the introduction of premium quality brands and sustained investments in the community, industry and human resource. Sharing his thoughts on this milestone, Sami Ahmed, Vice President, P&G Pakistan, said: "This is truly a historic occasion and a moment of great pride for P&G as we celebrate 25 years of successful operations in Pakistan. Through these years we have remained steadfast in our purpose to touch and improve the lives of Pakistan consumers. We've launched some of our world-renowned brands such as Pampers, Always, Safeguard, Head & Shoulders and Pantene which have since then become a special part of consumers' everyday lives and therefore are amongst leading household names in their categories. Through our business growth, we have invested in the country by building factories and a strong supply base. This has led to the creation of thousands of jobs directly and indirectly. We are also improving lives of the community with programs like P&G Children's Safe Drinking Water, Pampers Hospital Education Program and Mobile Clinics, as well as Safeguard and Always School programs." He further added, "Pakistan is an important market for P&G. With a large, growing population, high urbanization, highly young population and evolving retail landscape, the country offers a significant consumer base with huge potential. We're poised for future growth in Pakistan and look forward to celebrating many more milestones here in the years ahead." For 25 years, P&G has continued to touch and improve the lives of millions of Pakistanis in meaningful ways, through premium quality brands, impactful social cause programs and the development of local skills. The company's product offerings are a result of significant investments in understanding the needs and aspirations of consumers in order to deliver innovative products and campaigns that fulfil their needs and improve the quality of life. Often described as a multinational success story in Pakistan, the company's string of investments can be traced back to the time when P&G set up its first plant in 1994 in Hub, Balochistan. The plant manufactures the anti-bacterial soap Safeguard. 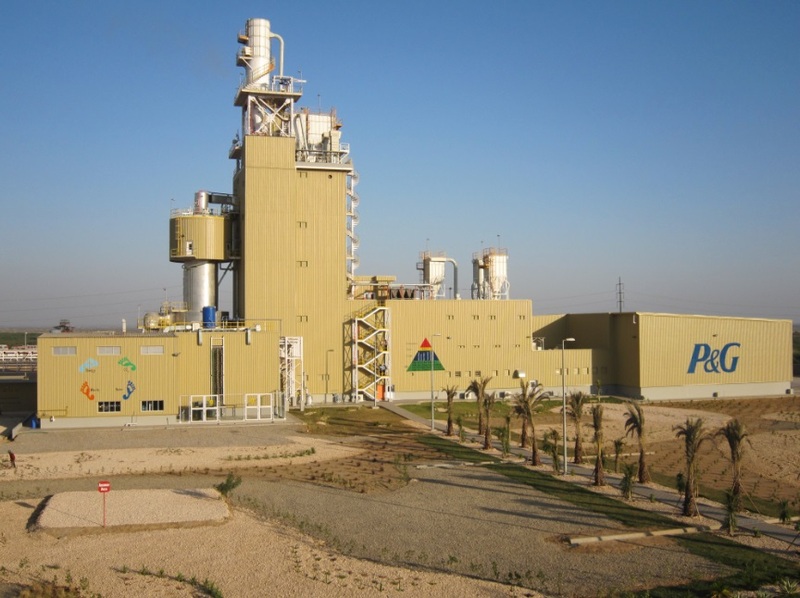 Building on its investment profile, P&G inaugurated a state-of-the-art dry laundry detergent plant in Port Qasim in December 2010. 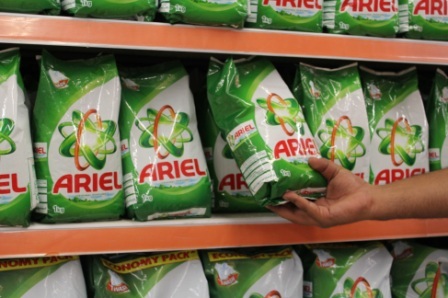 With this investment, P&G began local production of Ariel, its highly successful detergent. Through the years P&G has invested tens of millions of dollars in fixed assets. It has created hundreds of millions of dollars in local value addition, resulting in significant development of a local supplier base. It has also created around 5000 direct and indirect employment opportunities across the country. P&G has a strong promote-from-within culture which focuses on developing leaders by providing challenging assignments and nurturing the talent and skills of individuals throughout the organization. It also conducts well-built student-focused activities to help aspiring young professionals grow. With strong business growth, P&G continues to fulfill its commitment towards helping families in need across the country. Through its social-cause programs, P&G has provided clean drinking, health and hygiene awareness and quality education, reaching over 40 million Pakistanis to date. P&G continues to maintain a positive long-term outlook on Pakistan and strongly believes in the potential the country has to offer. Its history in the country is a testament to the great partnership between P&G and Pakistan. P&G remains committed to the long-term prosperity and well-being of Pakistanis and with this spirit, looks forward to fulfilling its purpose of touching and improving Pakistani lives in the years to come.